Born in The Hague, the success of his father's novels enabled him to study in Amsterdam and Brussels under Professor Alebe and Charles Van de Stappen. He travelled widely in Italy and settled briefly in Paris where he exhibited at the Salon of 1896. His early work includes a sandstone statue for the Museum Boymans in Rotterdam, and a number of studies which he destroyed before before setting out for Paris. During his stay there he worked for a waxworks and received commissions for sculpture in New York before accepting an invitation to move to Glasgow as Professor of Sculpture at the GSA in 1898. 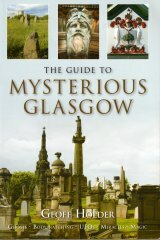 A key exponent of the Glasgow Style, he worked from a studio at 7 Woodside Place Lane, which he later shared with his pupil, Alexander Proudfoot , and produced portraits and architectural sculpture, often in collaboration with Albert Hodge and architects James Salmon II and J Gaff Gillespie . He modelled the statue representing Religion on Kelvingrove Art Gallery and Museum (1898); carved the column capitals on Salmon's British Linen Bank, 816-18 Govan Road, from models by F D Wood (1897-1900), and executed woodcarving in the interior of 22 Park Circus, for the iron-founder Walter Macfarlane II (1900). Lost to demolition are his statues representing Industry, Agriculture and Britannia on Salmon's attic additions to the British Linen Bank, Queen Street, the models for which were exibited at the RGIFA , and illustrated in the magazine Academy Architecture in 1905. The statues were removed c. 1950. In 1907-11, he executed the seated figure of Wisdom for W B Whitie 's Mitchell Library, North Street. His public work includes the statue of Dr John Gorman, Rutherglen (1901) and the Lord Lister Medallion, Royal Infirmary (1908). He lived at Albany Chambers, Sauchiehall Street, 1898, and The Glen, Helensburgh, 1915, before returning to Holland where he spent the latter part of his life. He exhibited at the RGIFA , 1898-1915, and RSA , 1899-1911.